DSSSB Teachers Recruitment 2017 – Apply Online for 15044 Primary Teacher, TGT & PGT Vacancies: Another DSSSB Recruitment announced for Notification 02/2017. The Delhi Subordinate Services Selection Board (DSSSB) has finally issued a recruitment notification for the recruitment of various Teachers i.e. 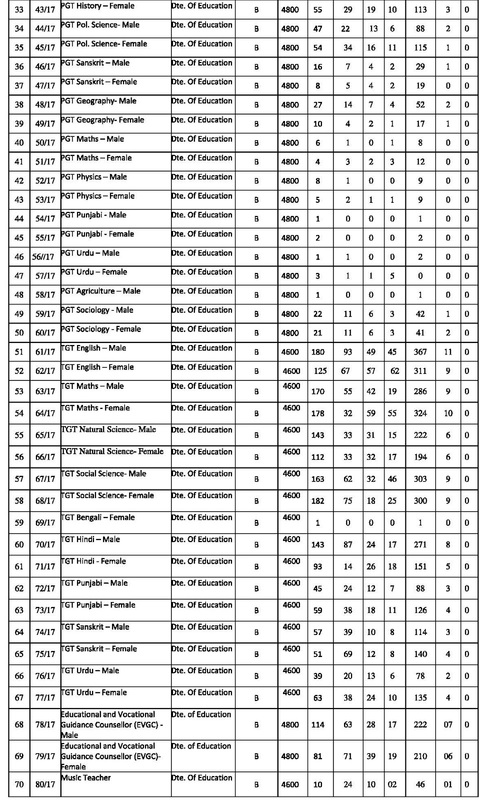 Primary Teacher, Special Teacher, Asst Teacher, PGT, TGT Patwari, Junior Engineer posts. 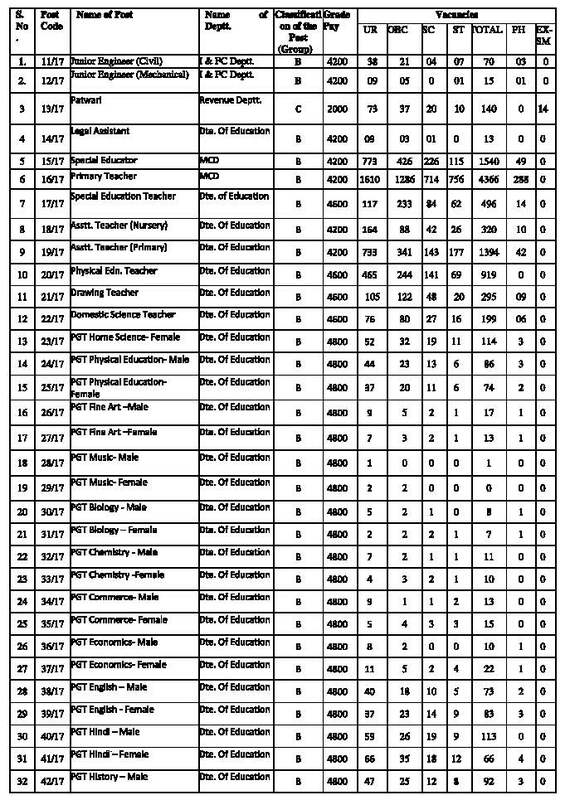 Online applications are invited for filling up 15116 Graduate Teacher (PGT, TGT), Primary Teacher (PRT), Special Teacher, Education Teacher, Assistant Teacher and other vacancies in various School, Colleges, department of Delhi Government. DSSSB has increased 72 Teacher Vacancies. Age Limit: Candidate age should not exceed 40 years for Principal posts, 35 years for PGT & TGT posts and 30 years for Primary Teacher (PRT) posts as on 31-10-2016. Age relaxation will be applicable as per govt. rules. Refer to notification for details. Educational Qualification: Candidates should possess following qualification. Check KVS Teacher Recruitment post wise educational qualification details. For Principal: Masters degree in relevant stream OR must have done PHd in applied stream from a recognized Institute OR University. For Post Graduate Teacher (PGT): Master’s degree in relevant stream with minimum 50% marks from a recognized University or Institutes. The candidate must also have done B.Ed. For Trained Graduate Teacher (TGT): Graduate degree in relevant stream with minimum 50% marks from a recognized University/ Institutes. The candidate must also have done B.Ed. For Primary Teacher (PRT): Senior Secondary School/ 10+2 exam pass with minimum 50% marks. Application Fee: General candidates are required to pay Rs. /- as per the posts. SC/ ST and other reserved category candidates will be exempted from paying application fee. Application fee should be paid through Net banking or e-Challan in any branch of State Bank of India. Selection Process: Suitable candidates will be selected for Trained/ Post Graduate & Primary Teacher (PRT, TGT & PGT) posts on the basis of their performance in written examination followed by Interview. Pay Scale: Selected candidates will be given following as salary. How to Apply Online: Eligible candidates those who wish to Apply Online for DSSSB Recruitment for Primary Teachers, PGT & TGT posts in Delhi Government, they are required to apply through online mode on its official website at www.dsssbonline.nic.in from 1st August to 21st August 2017. Log on to official website at dsssbonline.nic.in. Download Notification: If you want more information about DSSSB Primary Teacher, PGT & TGT recruitment such as syllabus, Subject wise posts, official notification/ advertisement, application form and more, read official notification followed by the link given below.